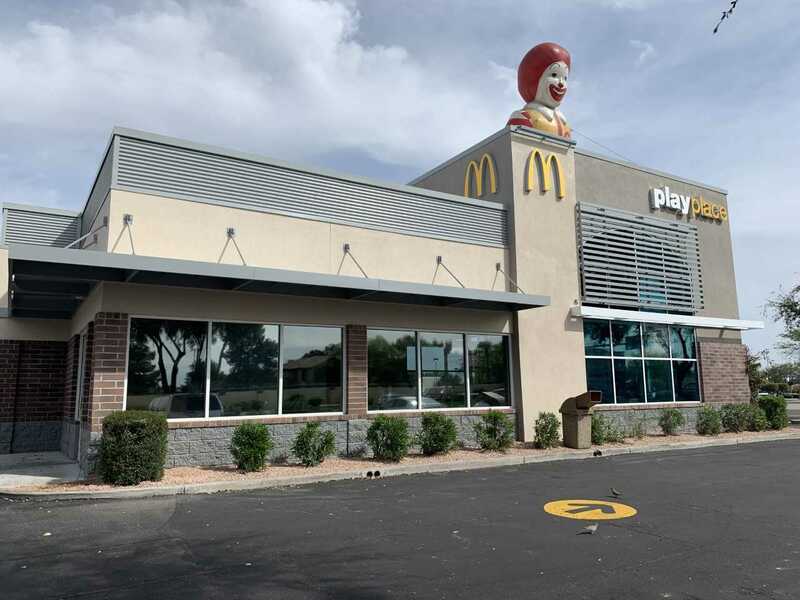 The McDonald’s at 67th Avenue and Beardsley Road in Glendale re-opened March 20 to allow guests to experience McDonald’s in a new and unexpected way. This means a new level of choice, engagement and service, and these changes are reflective of a new restaurant model that has been successfully rolled out in more than 2,600 international markets. McDonald’s restaurants are putting more choice and control in the hands of guests by evolving how they order, what they order, how they pay and how they are served. “With our easy-to-use self-order kiosks, customers can place orders in advance and skip the front counter to have food brought right to the table,” said Sam Thiara, McDonald’s owner/operator. Mr. Thiara describes the restaurant design as “comfortable modern” with new decor accented by multiple colors; zoned seating areas in a variety of seating types and comfortable configurations; and lower lighting levels in the dining area utilizing pendant fixtures. The exterior incorporates glass and metal for a contemporary look and dual-lane drive-thru that will provide faster service. Additionally, McDonald’s owner/operators and restaurant teams in Glendale are placing a higher emphasis on hospitality by focusing on greeting customers, assisting with technology and ensuring a clean, welcoming environment. To celebrate the re-opening, the McDonald’s held special deals Saturday, March 30. Family fun activities and performances by Mountain Ridge School Band and Cheer were followed by a ribbon-cutting attended by community leaders. The restaurant also plans to host a LEGO Fun event noon-2 p.m. Saturday, April 13, featuring Bonanza Educational tallest tower builds and $1.99 Happy Meals. Both events are free to the public, and all are welcome.